Beautifully handcrafted jewelry from Sashkaco. I love jewelry. I believe every girl needs some sparkle in their lives, and jewelry really adds that something special to your day and to your outfit. I am not leaving men out by any means. My guys also love to wear their rings, bracelets, and chains. 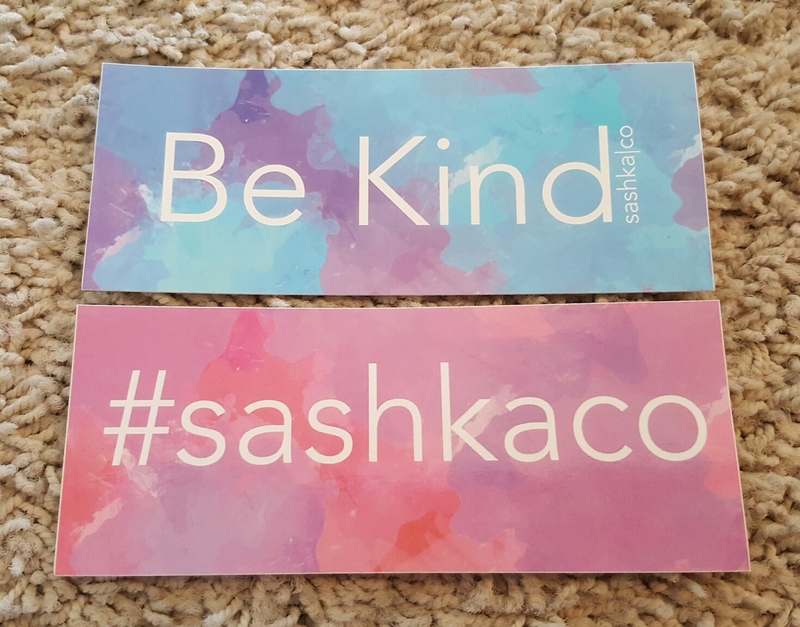 This company, Sashkaco, makes the most beautiful beaded bracelets. They are absolutely gorgeous. The workmanship is incredible. The bracelets are made out of glass beads by artisans in the Kathmandu Valley of Nepal. They truly are amazing. They are most definitely the best beaded bracelets I have ever come across. Not only are they made in Nepal, but they are handcrafted as well. These are real artists. The beading is so smooth against your skin, which makes them so comfortable to wear. The beading is so tight as well, which is really impressive. By the time they are done, these bracelets are rounded off. They are not the stretchy kind, where you have to worry about the band snapping, and losing all your beads. I have had that happen more than once in my past. These are the type of bracelets that you roll on. They are very easy to roll on and off, too. So not only do you look stunning wearing one of these pieces, but you feel extra good about yourself for supporting these women. When you choose to order from this company, you can also choose to sign up for their reward program, for free. This allows you to rack up points from your purchases, and eventually earn money off of future orders. I like that feature, and I really wish more companies did this. I received three bracelets. They look very similar, but they are all slightly different. Each bracelet has a white, glass bead, base, along with some silver beading. One has a solid stripe that covers about a third of the bracelet. Another has what I refer to as a candy cane stripe effect. Lastly, the third one has a fun pattern that encircles the bracelet. They offer, on their website, bracelets in sets, solids, and patterned singles. They have so many different colors, and designs available. You may end up finding you want them all. They offer free shipping worldwide too, so getting them all may be feasible, lol. If you are ordering from another country, they have options to pay in different currencies. In regards to fit, I really didn’t see any size options available, just the one size. I wear a regular size 7 bracelet, and it is normally a flowy look for me. I do not wear a lot of snug bracelets. These bracelets fit me very well. Overall, I am absolutely thrilled with both the shop and the product. My bracelets arrived in perfect condition, and they are absolutely gorgeous. I received these bracelets for free. My opinion expressed is solely my own, and I was not obligated to leave my unbiased and honest review. A very feminine bracelet. – Infinite Charming Jewelry “Pearl Teardrops” Rose Gold Plated Tennis Bracelet. More beautiful jewelry from Infinite Charming Jewelry, yea! This is a really pretty one too. I love the Rose Gold Plating. It has such a warm glow and shine to it. This beautiful bracelet was inspired by The Little Mermaid. They state that this Pearl Teardrop bracelet symbolizes how she could not bear the sorrow that he did not know her love. So sweet. The links represent the teardrop with the simulated pearl at the end of each one. This pretty bracelet measures out at 6.6” long with a 1.2” extender. It fits beautifully, and flows wonderfully on my wrist. I am not a fan of tight fitting bracelets. I love how they package their jewelry. It is so gift worthy. This bracelet arrived in a velvet jewelry box, which was inside of a beautiful velvet drawstring gift bag. The bag is perfect for storing the bracelet when not in use. I find a microfiber jewelry cleaning cloth to be a great and easy way to keep your jewelry nice and clean. That will help protect the plating on this bracelet. This bracelet was made out of a base metal, with Rose Gold plating. A base metal can be any non-precious metal. Copper, Nickel, and Brass are the common ones used. My bracelet arrived in perfect condition. I have no flaws, chips, or discolorations. All my simulated pearls are set well, and in great shape. I love the story behind the bracelet. It adds a special sentiment to it. I was afforded the opportunity to review Infinite Charming Jewelry “Pearl Teardrops” Rose Gold Plated Tennis Bracelet, at a reduced cost, in exchange for an unbiased and honest review.